IPIL, ZSP - The Zamboanga Sibugay Public Employment Service Office (PESO) under the guidance of the Department of Labor and Employment IX (DOLE 9) thru its Zamboanga Sibugay Field Office (ZSFO) continues to strengthen its partnership with the Diocese of Ipil Pastoral Care of Migrant Families and Itinerant People (DIPMI) in identifying major issues faced by migrant workers in the province to ensure their safety and protection. DOLE 9 Regional Director Ofelia B. Domingo supports this kind of collaboration and partnership. In the words of Director Domingo, "This collaboration will bring the programs and services of DOLE to the margins as our peoples needs to feel that the government cares for them." DIPMI is a Ministry established by the Diocese of Ipil to address the issues and concerns of migrant workers and their families. To fully achieve its goal DIPMI collaborated with DOLE through the PESO Managers to expand its services to the grassroots level. According to Sr. Mary Ann L. Guevara, new DIPMI Coordinator, "Migration is impossible without collaboration. That's why the Diocese of Ipil in behalf of the Migrant Ministry is grateful for the active partnership of the Church and Government Agencies in promoting programs and services to ensure the rights and welfare of the migrants in the Province." Through the partnership of DIPMI and DOLE ? ZSFO the services of POEA, OWWA and the National Reintegration Center for Overseas Filipino Workers (NRCO) are mainstreamed in the DIPMI services specifically raising awareness on Anti-Illegal Recruitment and Trafficking-in-Persons (AIR-TIP), Livelihood/Business Training for Migrants and their Families, and Welfare Services. For the year 2017, the DOLE provided livelihood through the Kabuhayan Starter Kit (KSK) to61 distressed OFWs who were jointly endorsed by DIPMI and the PESO Managers. Another milestone in the partnership is the institutional observance of the celebration of the Migrants Sunday every 3rd week of February. The celebration is regularly attended by OWWA, POEA, PESO and DOLE. The sharing of the different services and programs of DOLE, OWWA and POEA as well as the active campaign on Anti- Illegal Recruitment and Trafficking in Person are valuable activities observe during the gathering. 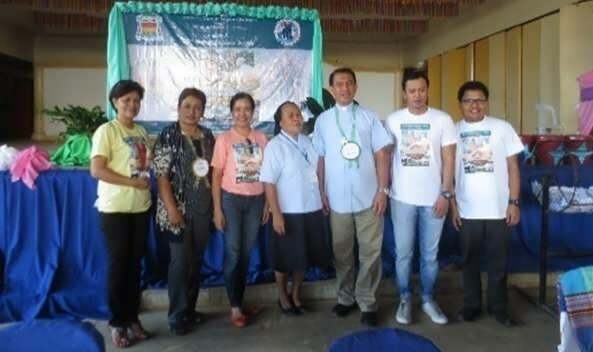 This year's event was participated by 338 migrants and their families from different parishes of the Diocese of Ipil (covering the Provinces of Zamboanga Sibugay and Del Sur) held at Marian College Multi-Purpose Center, Ipil Zamboanga Sibugay. This celebration is an expression of solidarity with all migrant families who are left behind. This is one way of bringing together migrant families, government and the non-government organizations for the welfare of the migrants and their families in Sibugay. The DOLE through its Zamboanga Sibugay Office continues to cultivate this kind of partnership in this part of the Region.